As a writer and someone who has been in the entertainment industry for as long as I have, I can't help but wonder about the story "behind the story" when I watch a film or read a new book. Luckily in today's world, one can usually reach out to the creators and ask them questions. I'm so glad to be able to speak with filmmaker Tommy Stovall about his work, career, and what took him from Texas to Arizona. Tommy, after watching two of your films -- I knew I wanted to interview you and pick that very interesting brain of yours. You seem to be a filmmaker that doesn't fall into a certain genre. Was that a conscious decision you made? Well, I don't like doing the same thing over and over in general, so yeah, my goal has always been to do all different kinds of movies. I think that's why I love being creative, because you can always do something new and different. Making a movie is a great way to learn about a particular subject and there are lots of subjects out there I'd love to explore. I love story tellers that want to tell interesting stories -- no matter where it may take them. You cover themes from gay marriage to workaholics to asperger's. As a filmmaker who is also a screenwriter, what leads you to a particular theme? It really comes down to what I'm interested in at the time. And what I would want to see as an audience member. I also consider the marketability of the theme, because after all it's a business. But I have to be passionate about whatever it is, because making a movie, combined with getting it out there once it's finished, can be a very long process and it becomes a huge part of your life. Your first film, Hate Crime, dealt with religion and sexuality -- but also about making some life changing decisions: what made you write this story and make it as your first film? The idea started with the title, actually. 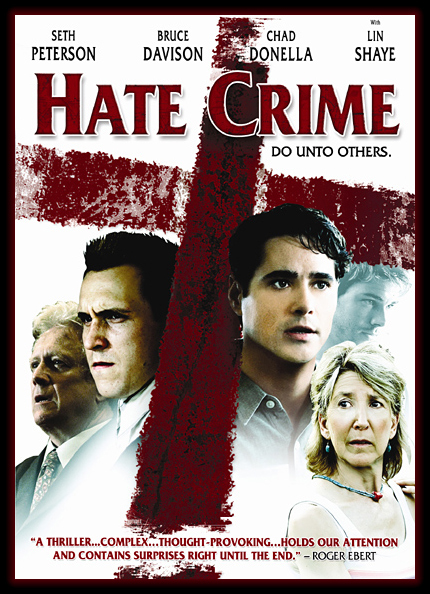 The term hate crime had been in the news a lot in the late '90s when I first got the idea, and I thought it would make a great title for a movie. And because religion seemed to be the catalyst for most hate crimes, particularly against gay people, that became the framework for the story. I was also fascinated at the huge differences in interpretations of Christianity among the various churches. So I explored that a bit as well in the movie, showing two churches that are supposedly based on the same thing, but really polar opposites. I knew the subject matter would be controversial, but I thought that could only help me as a first time filmmaker trying to get noticed. I completely agree with the controversial aspect. I know when I wrote my first novel (that was also about religion and sexuality), there were some in the gay community that acted as if I had a certain responsibility to tell a story in a particular way. In making that film, did you ever think in those terms? I really didn't think about that at all. I had my own issues and frustrations with how gay characters were often portrayed, so I only thought about making something that I wanted to see as a viewer. When the movie came out, though, I was a little shocked by how some in the gay community had huge problems with it. But one thing I learned in a big way was no matter what you do, you can't please everyone. We did a lot of Q&As with this film at various screenings across the country, and they often went on for a long time with lots of debate in the audience. People had strong reactions -- some loved it, some hated it, but it was all wonderful, because it at least got people talking about the subject. It was amazing to see Bruce Davison as the preacher in that film (because for me he will always be David from Longtime Companion). 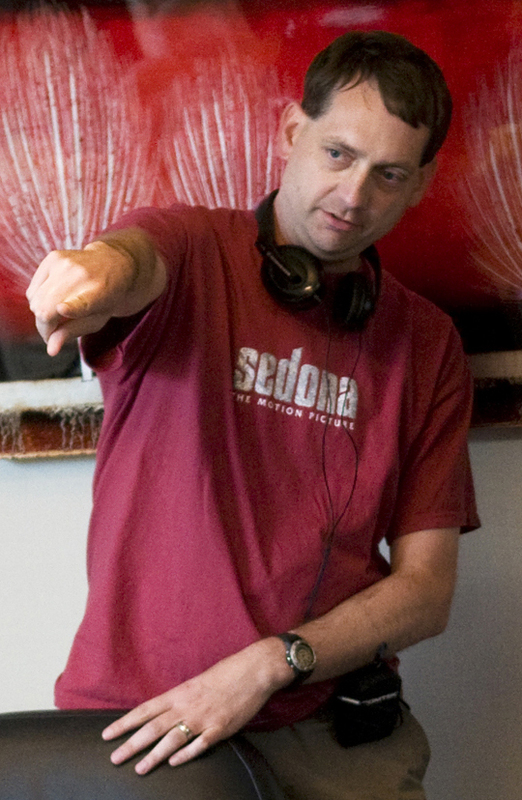 What was it like to direct and work with him? Out of all the cast, he was the one I was most intimidated by initially. I still can't believe he's actually in the movie! But he was awesome in every way -- incredibly professional, supportive throughout the whole process, and very down to earth and fun to be around. In directing him, I learned a lot about how actors should work. As an indie filmmaker, you are able to woo many Hollywood actors to your films. What is the Stovall magic touch for accomplishing this? I honestly don't know! I remember at one of the LA screenings of Hate Crime, I was standing in front of the audience along with most of our cast for a Q&A, and I jokingly asked them, "What were you all thinking?" Because they all took a big chance on me as a first time director. But luckily, I think they really liked the script and wanted to be a part of the story we were trying to tell. Your film Sedona really spoke to me about destiny and how people can come into our lives at the exact moment. How did the native Texan end up in Arizona making this film? My partner and I had visited Arizona quite a bit while we lived in Dallas and I always loved the dry desert weather out here. We had always heard great things about Sedona, but it took us awhile to check it out. When we finally did, we loved it so much that we bought a piece of property during that first visit, which is actually a pretty common thing for people to do. Then we were here permanently two years later. Sedona is known for its beautiful landscapes and relaxed atmosphere. It's a magical place to many, and there are a lot of unique, fascinating people here. 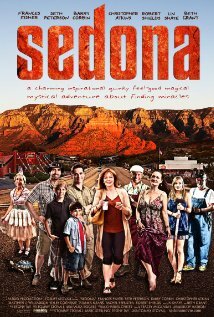 I thought there was so much interesting material and characters in Sedona to work with; I was surprised there hadn't been a movie made about it before. So, I figured I would be the one to make it. As I read about you online, I saw how you started your career while in college in Texas and it seems you have truly followed your dream and made it happen. What advice do you have to other indies out there (be that filmmakers, writers, singers) to follow their heart? Just do it! That's always my advice for anyone who wants to do anything. Making a movie is hard, with tons of obstacles always coming at you, so it's very easy to find excuses not to follow through. But compared to ten or twenty years ago, it's so much easier now with all of this amazing technology we have at our fingertips. With the high-quality equipment that's now affordable, anyone can go out and make a decent movie without spending a ton of money. I also think the fear of failure keeps a lot of people from following their dreams, and I understand that all too well. But you have to realize that whether you fail or not doesn't matter. The thing that matters is that you tried, because just giving it a shot is success. And hopefully you had fun doing it and learned a lot. Can you tell us about your upcoming project? It's called Love In A Box, about a man with Asperger syndrome who forms a friendship with an eleven-year-old gifted boy who moves in next door. Their relationship starts off as adversarial and contentious because the boy has some anger issues, but they become bonded over time and the boy takes a genuine interest in the man's condition and his extraordinary talents. I came across the script as I was looking for a project to do with my son Trevor, who's an actor. So he'll be playing the boy. I really responded to the story and became very interested in Asperger's, which I didn't know a lot about. I immediately started doing research and quickly got a burning desire to make the film. We hope to shoot it in July. We're doing something different this time around, making it on a much lower, more manageable budget than our other films, and trying crowdfunding to raise the money for it. We just launched a Kickstarter campaign. I really appreciate Tommy being so open and honest with his answers and I recommend people not only check out his films, but head over to kickstarter and get involved in his latest project as well.